Director, Education & Public Engagement, Associated Universities, Inc.
Spuck is the Director of Education and Public Engagement at Associated Universities Inc. (AUI). 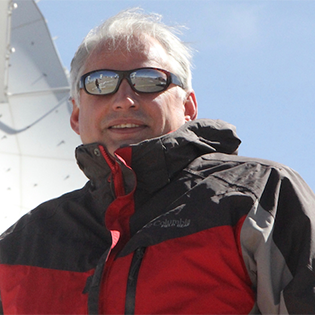 At AUI Tim leads a variety of initiatives including the NSF funded Innovators Developing Accessible Tools for Astronomy, Astronomy in Chile Educator Ambassadors Program, and Big Astronomy in Chile through Dome+ projects. Spuck also serves as lead on the Network for Earth-space Research Education and Innovation with Data, as well as AUI collaborations with the National Society of Black Physicists, Astronomers Without Borders, and numerous other organizations. Prior to his role with AUI he taught astronomy and earth sciences, and served as a K–12 Science Coordinator. His students regularly engaged in authentic astronomy research, and have been recognized throughout the scientific community for their discoveries. During his career, Tim has worked to develop innovative STEM education initiatives and has led numerous professional development programs throughout the United States and abroad. He holds a doctorate degree in Curriculum & Instruction from West Virginia University, and a master’s degree in Science Education from Clarion University of PA. Spuck served as lead editor for the recently released book, Best Practices in STEM Education: Innovative Approaches from Einstein Fellow Alumni, 2nd edition; his 1st edition was awarded the 2014 Peter Lang Publishing Book of the Year. This session will focus on best practices in STEM education and workforce development, diversity and inclusion, and building collaborations. EPO professionals from across the NSF Large Facilities portfolio will share exemplar programs and practices, and will work to explore future projects and collaborations. This “Report-out” session will identify: needs that have been uncovered; actions that can be taken; options to measure the effectiveness of actions and feeding results into further improvement; and how to share those results at LFW 2020.